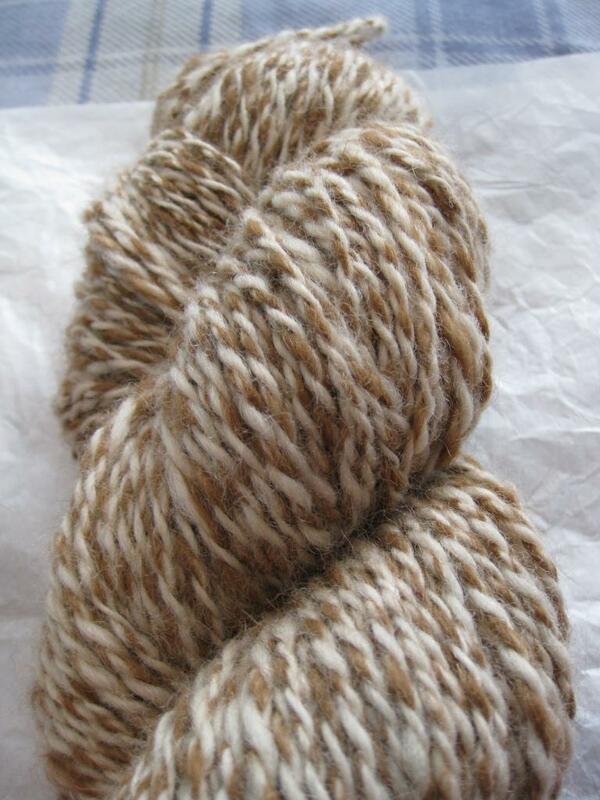 It took me all weekend to spin one skein of yarn. There’s no way to say this without it sounding stupid: I knew my fingers were important, I just didn’t realize how important. They are all doing a different and important job while I spin, and trying to work with the one in a brace was like learning how to spin all over again. The end result isn’t TOO bad. I’m hoping most people won’t see the inconsistencies I see. Or at least, they’ll be kind enough to pretend they don’t see them. 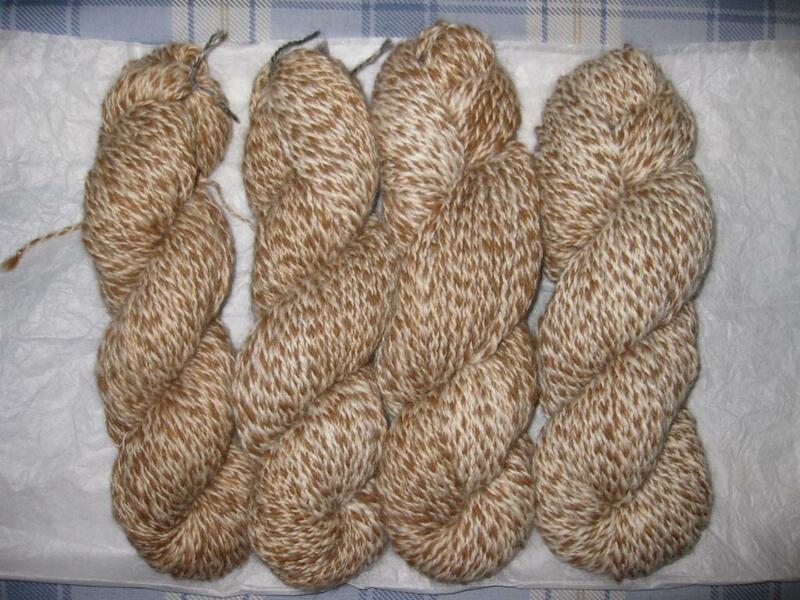 Can you tell which of those skeins I spun with my gimpy finger? This entry was posted in fiber art and tagged handspinning, handspun yarn, skein of yarn, spinning, yarn. Bookmark the permalink. No, not really. They all look fine to me. I am still working on the consistency of my own skeins, even with 10 good fingers. I hope your finger is mending nicely? I think it’s on the mend. It’s still ouchy, but only when I try to use it, instead of all the time. Consistency is SO hard, especially if time passes between skeins of yarn. I keep what I’m trying to match in my lap, so I can glance down at it, but I don’t always remember to check.